There are many people out there who have very fulfilling jobs. Their jobs align well with their skills and interests, paying them a good salary while giving them a sense of fulfillment. This article is not for them. It is for people who want to be them. Chances are that there is something you are very good at. Maybe it's a craft or artistic skill like leather working, composition, or music. Maybe it's a knack for understanding where people are coming from and what they are thinking. If your best skill is not a core component of your job, then you are likely underpaid. If Steve Jobs got a job as a house cleaner, he'd get paid what a house cleaner does. Many highly talented people assume that the skills that they have are not marketable. Maybe you make leather armor as a hobby. When you search Indeed for "Armorer" there's not a lot of listings. However, it takes a variety of skills to be a good armorer. Three dimensional thinking, knowledge of materials, tools and often mechanical skills, aesthetics, color design, etc. Break down your one big skill into smaller skills, then consider who gets paid to use those skills. I suspect that the skills of making armor and reupholstering furniture and vehicles are similar. "Be reasonable and know your limitations" is some of the worst advice you can give someone, especially a young person. Not because it's not good to know your limits, but because telling someone to know their limitations is like telling them to know how to fly. Left to their own devices, everyone will get it wrong. When you were young, you probably had people saying something like this to you about knowing your limitations, but you thought you knew better. You thought you were unlimited, so you tried to soar... and you probably crashed and burned one or more times. This convinced you that the nay-sayers were right, and you went from overestimating you abilities to underestimating your abilities. The irony is that while you were trying to do what turned out to be impossible, you were learning and developing skills. You are now more capable than you were before, but, believing that your detractors have been vindicated, you accept the limits they placed on you when you were younger. When I talk about this, I'm not just talking about you, I'm talking about myself. I came out of college thinking I could do anything. I opened a game store and proceeded to make no money for five years. In my arrogance, I did not think I needed to study, so I did not learn (until much later) what I would have needed for success. That experience gave me the skills to succeed, but it also drained my confidence to try again so boldly, keeping me from putting those skills to use for many years. If you find yourself looking at your dreams and not pursuing them because you are not good enough, then I'm talking to you. You're probably better than you think, and even if you are not, you can probably get good. I say probably because there are some things that can never be overcome. If you want to join the NBA and you're 5'1", then you might want to think more broadly. Maybe Baseball might be a better sport. However, if it's a matter of lack of skill and talent, then remember that dedication and humility will overcome natural talent every time. Part of "knowing your limitations" often involves settling. Maybe you are a seamstress and you wish you could make fine wedding dresses, but you believe that it beyond you, so you put it aside and follow a career path that takes you in a different direction. If someone were to ask you what you want in your next job, you'd say "more money, better hours, benefits." But the truth would be that what you want in your next job is to be one step closer to creating beautiful dresses. Most people never achieve their dreams because they don't take a single step towards them. In response to what I'm sure you just said to the last section, yes, you can. Whatever justification you just offered is probably an excuse (unless you're 5'1" and want to play for the NBA). There's no jobs in my area in that industry. I don't have the contacts. Some reasons are legitimate, but many are excuses. All to often, we look at one path, determine it will not work and give up completely. If you were driving to Boston, and I-95 was closed, would you just give up and go home, or would you find another road? Skills can be learned. Experience can be earned, either through work or even volunteer opportunities. Don't have time to volunteer? Is it that you really don't have time or you prioritize other things over your dream? Need contacts? Go make them. Don't know how? I wrote a book on the topic. The point is that whatever obstacle you have that keeps you from doing what you say you want to do can be overcome if you are willing to make some sacrifices to do it. Often, all that you need to take a step towards your goal is one good connection. 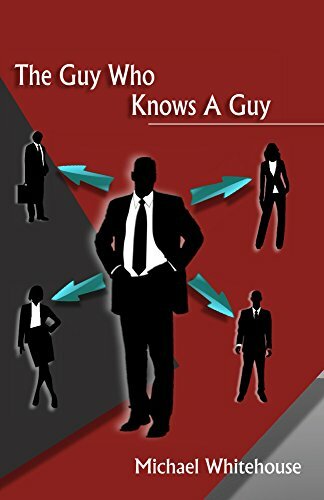 Just one introduction to someone who knows about that one job opening or apprenticeship opportunity. This comes back to that excuse of not knowing the right people. Chances are that in the circle of people you know, there is at least one person who either is the connection you need or could introduce you to them. How do you find them? You put in the work. Have you made sure that everyone who knows you knows what you are trying to do? If not, how would they know to help you. Once you have spread that message, it's time to go person to person. Talk to everyone you know individually and tell them what you are trying to achieve. Tell them whom you are trying to meet and ask them if they'd be able to help you. If they are your friends, they should be glad to introduce you to someone, and even if they are just acquaintances, most good people are happy to lend a hand. Think of the reverse. If an acquaintance asked you for an introduction to someone you knew, would you do so? Probably. But first, you must believe that what you are trying to do is possible. You have to approach it with an attitude that you will find what you are looking for. It's only a matter of time. This confidence will show and make people more comfortable recommending you to their friends and contacts. Don't think you know anyone who can help? I guarantee you know at least one. Reach out to me, and I'll be happy to talk you through what you need.